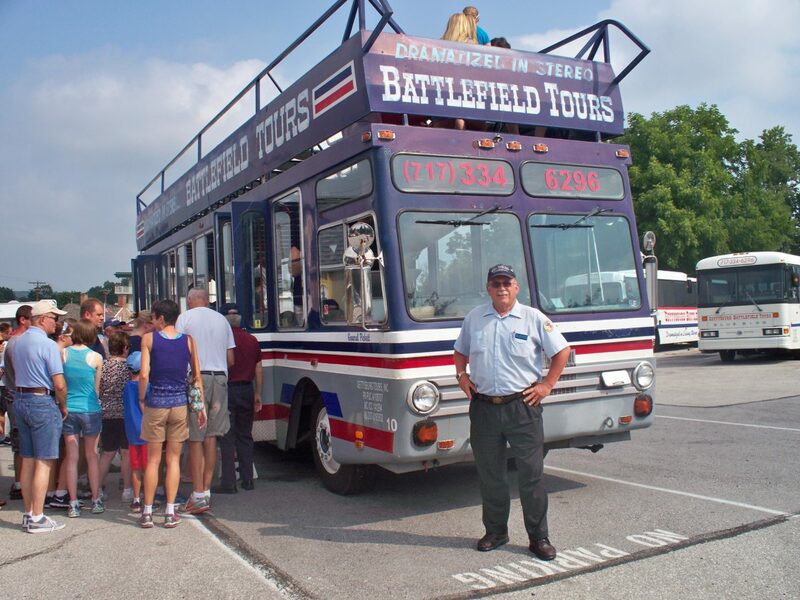 Gettysburg National Military Park Licensed Guide will do the presentation on Double Decker Bus(weather permitting). Tour is 2 hours in length and covers all three days that took place in Gettysburg. You will depart bus for at least one scenic stop. Interested in adding other attractions to your Battlefield Tour? Choose the “Gettysburg Value Plan.” Use the drop down options (small arrow) to right of price. Please note: Bottom is not air-conditioned and weather permitting. Introducing the Tour Plus at the Gettysburg Tour Center! An easy to use iPad software tool that automatically shows guests images based on GPS location. 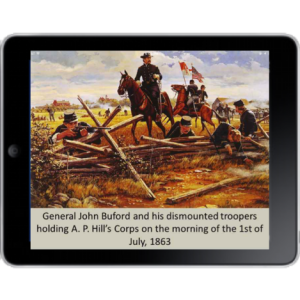 We supply you with an iPad and as you travel through the battlefield Tour Plus shows you appropriate images including maps, historical figures, old photos, weapons, timelines, and bonus pictures. 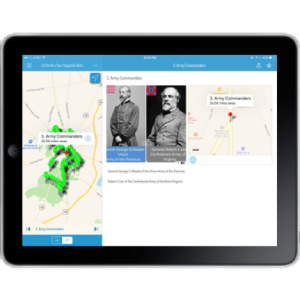 Much more than just a history lesson Tour Plus is about you, and enhancing your experience of the Gettysburg Battlefield! (One Ipad per family and limited quantities available). To add the Tour Plus to your battlefield tour, add the option to your shopping cart via the drop down tour options. Self-guided, GPS enabled tour of Gettysburg complete with Driving Direction, Audio, and Reenactment Battle Videos!